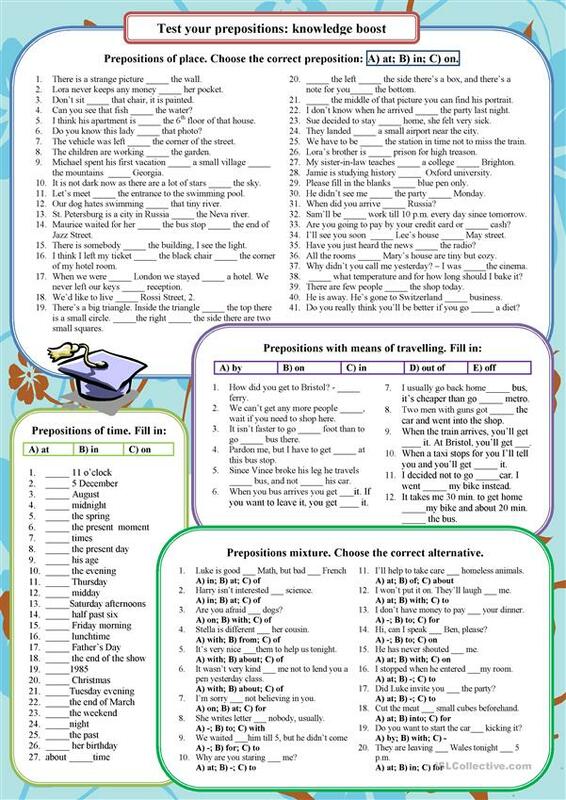 How about a mega-practice of prepositions? Here you go, more than 100 blanks to fill in, and all of them are on a single page. The KEYS are attached, your comments are always warmly welcome. The above printable, downloadable handout was created for high school students and adults at Upper-intermediate (B2), Advanced (C1) and Proficient (C2) level. 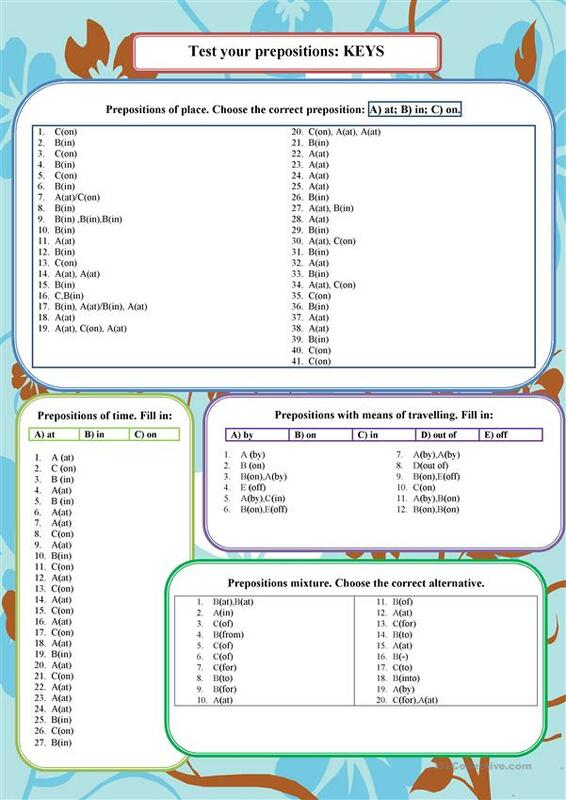 It is a useful material for consolidating Prepositions in English, and was designed for honing your groups' Speaking, Reading and Writing skills.